Do you love cuddly animals with sweet dispositions? Join us at Lazy Acre Alpacas for their annual Open House on Saturday and Sunday, October 7–8 from 10 a.m. – 4 p.m.
Take a guided farm tour and learn about these adorable living “teddy bears” and what life on an alpaca farm is like. There will be spinning and felting demonstrations and maybe even a sale or two on alpaca apparel. Say that five times fast. 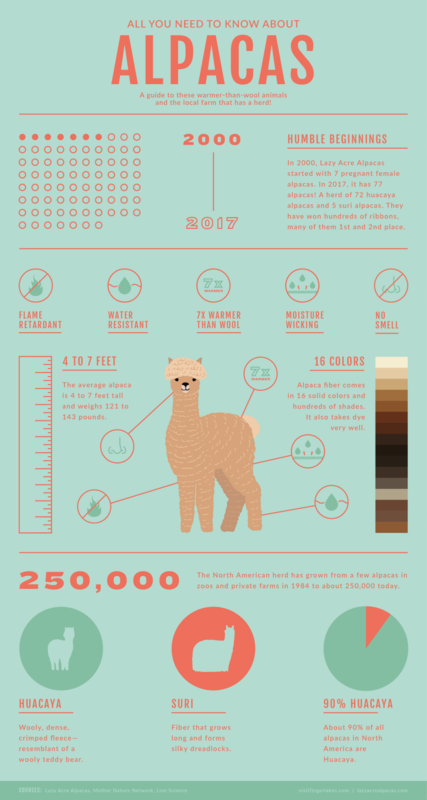 We’ve put together some fascinating alpaca facts for you so you can learn all about the South American natives. One fact that’s not on the infographic? Alpacas learn about each other, and humans, by smelling the breath of one another. 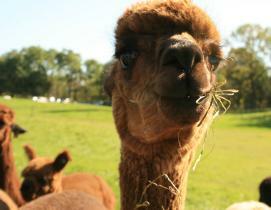 So, brush your teeth or grab some gum and see if you can make an alpaca friend at Lazy Acre Alpacas&apos; open house! Want to see where else you can explore in the Finger Lakes? Join our email list!